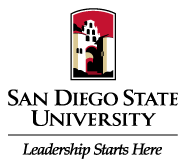 San Diego State University has been ranked as the #1 small research university in the country and previously ranked twice by peers as among the top five M.A. communication programs in the country. According to EdUniversal, this program is ranked #10 among all Communication M.A. programs in the U.S. When only considering masters-only programs in Communication Studies, this is the top-ranked program in the United States. We offer outstanding academic preparation, as well as individualized attention, and a culture of ‘working hard and playing hard.‘ If this sounds like a program you are interested in pursuing, the eight steps below will provide a complete explanation of the application process. The School of Communication offers new and continuing graduate students the opportunity to teach undergraduate classes, primarily Communication 103 – an introductory course in oral communication. Graduate Teaching Associates (GTAs) receive an annual stipend. Some GTA positions may include an out-of-state fee waiver. GTA positions are competitive and admission to the graduate program does not ensure the assignment of a teaching associate appointment. If you would like to pursue a GTA, please indicate in your cover sheet to the School of Communication that you are applying for a GTA position and list any teaching experience you may have had. If you have specific questions about the GTA position (requirements and benefits), please contact the Director of the Basic Course, Mr. Michael Rapp. It may be to your advantage to take the GRE General Test more than once if you think that the scores you obtained do not reflect your true abilities. You may take the General Test (computer-based and/or paper-based) only once per calendar month and no more than 5 times within any 12-month period. This applies even if you canceled your scores on a test taken previously. In the School of Communication, we accept combined scores from two different tests (e.g. the verbal from one test time with the quantitative from another test time).Since it often takes 6 weeks for the GRE scores to arrive at SDSU, it is important to plan ahead and take the exam at least two months BEFORE the deadline for applying to graduate school. If you want the option to re-take the test you will need to plan farther ahead. You may report the scores as soon as you receive them to get an indication of your qualifications for admission. A statement of purpose is a 3-4 page, double-spaced document that describes: (a) your interest in communication, (b) your undergraduate and/or professional preparation for graduate studies in the communication program, (c) your personal and/or career objectives that graduate studies in communication will help you pursue, and (d) (optional) your interest in applying for a Graduate Teaching Associate (GTA) position, addressing how the GTA position fits with your interest in communication, your past academic and professional experience, and your career objectives. Describe any teaching-related experience you may have. If you did not earn your BA in communication, indicate if you have taken any communication courses, either as electives or as a minor. Take time and care with your statement of purpose. It is very important. It is the first thing we read and the first indication we have of who you are and why you should be selected over other very well qualified candidates. Your letter writers will submit their letters of recommendation online (see the interfolio link for more information). We require THREE letters of recommendation – at least TWO of the letters must be written by professors rather than employment supervisors. Your letter writers should speak to your ability to do well in graduate school and to your ability to teach if you are applying for a Graduate Teaching Associate (GTA) position. Take the time to follow the guidelines below in order to help your letter writers write the best possible letter of recommendation. they should double check their junk mail and spam folders if they do not receive the e-mail from Decision Desk (after you have submitted their e-mail addresses in your application process). A cover letter indicating what courses you took from the professor, when you took the courses, the grade you earned, and the name of the project you wrote for the class. Also indicate in this cover letter anything else about your time at your institution that might be worth mentioning in the letter of recommendation. A page listing the program(s) you are applying to (description), the deadline for applying, and the name of the person and address to whom the letter should be directed. It is best to sequence this list based on the first deadline a letter is due. A copy of the Statement of Purpose that you will submit with your application. Double-check to make sure your letter writers have the correct link and have submitted the letters by the appropriate date (see Step 6). You are required to complete a CSU application and pay your fee online via CalState Apply. International students should visit the International Student Center for International Student Application Procedures. SDSU only permits admissions to graduate programs in the Fall Semester. The target for submitting an application to the MA program in the School of Communication is February 1. While the university’s official deadline is March 1, applications submitted to the School of Communication by February 1 will be given priority in admissions, early notification, and priority for GTA appointments. This is particularly true for those applications that are complete with all supplementary materials including test scores, transcripts, and letters of recommendations. According to university policy, applicants have until April 1 to complete their files with supplementary materials. However, applicants to the School of Communication that complete their files by March 1 will be given priority. (a) Transcripts: One set of official transcripts (in sealed envelopes) from all postsecondary institutions attended. (Students who attended SDSU need only submit transcripts for work completed since last attendance.) Students with international coursework must submit both the official transcript and proof of degree. If documents are in a language other than English, they must be accompanied by a certified English translation. Normally, we expect at least a 3.0 cumulative grade point average. (b) GRE Scores: The School of Communication requires all applicants to complete the GRE. Minimum expectations are: Verbal (V) = 150; Quantitative (Q) = 142; V+Q = 300; Written = 4.0. (c) TOEFL Scores: If your medium of instruction was in a language other than English, then a TOEFL score is required (www.ets.org, SDSU Institution Code: 4682). A minimum score of 550 on the paper exam, 213 on the computer-based TOEFL, 79 on the internet exam, or 6.5 on the International Language Testing System (IELTS) is required. Submit photocopies of scores in your package of support materials to the department (described in Step 9). It is essential to send photocopies of your transcripts and GRE scores (& TOEFL scores, if applicable) to the School of Communication. Eventually, we will receive the official transcripts and scores from Graduate Admissions. However, we may be in a position to review your material and make admission and GTA decisions before the materials arrive from the Graduate Admissions office.